Thank you so much to all the people who helped in the making of this story!! A million thanks. Until I was old enough for school, I was brought up living, as it seemed to me, a five year old going to school for the first time, a very isolated life. Going to school for the first time brought out raw, angry emotions I hadn’t even known existed previously. But let's start from the beginning. I was all ready. That morning I had woken up extra early: I just couldn’t sleep. I made sure I had everything on the school supply list: twenty sharpened pencils, extra large for my small, unsteady hands, four notebooks with large lines for my big, wobbly print, and a backpack, all there for my learning. I felt very important with all those important things to carry; I couldn’t lose them. I pulled myself out of bed and padded down the hall and down the stairs. When I was smaller, I used to think that Mom never slept. It became a game when I was little to catch Mom sleeping. If I woke up really late and needed a drink, she was always awake, and no matter how early I tried to wake up, I could just not catch her sleeping. So, of course, that morning my breakfast was all laid out for me, ready for me to eat. I stared down at the breakfast I’ve had every morning since I remember, white oatmeal with a swirl of honey, a glass of milk with a blue straw and a half grapefruit with a sprinkle of glittering grains of sugar on top. I never got tired of that breakfast. I nodded and smiled, dragging my spoon over the top skin of my oatmeal, the spoon fogging up from the heat. “Yeah, it’s right here.” I patted the bag beside my chair. I finished my grapefruit and drained my glass of milk. I bounded up the stairs and took a shirt off one of the hangers Mom had laid out for me. I quickly got dressed and made sure my socks matched and my shirt was tucked in like Mom had told me it always should be. When I got downstairs, Mom was waiting at the door, my backpack’s two straps held in her hands, waiting to slip them over my shoulders. She smiled reassuringly as I looked up at her. Butterflies somersaulted in my stomach. We were the first ones there. I shook hands with my teacher, a friendly but scattered Faerie Gelert, Miss Barrie. “Oh! You must be Gabe,” she said kindly. “Welcome to your classroom. This is where you’ll be for the rest of the year... oh dear, was I supposed to say that?” She looked at Mom. “Well then, my name is Miss Barrie. This is my first year teaching, so if you’ll help me, I’ll help you.” She smiled. I nodded, a little intimidated. I allowed her to take my hand as we walked to the wall of hooks in the back of the classroom. Each hook had a name, printed in neat block letters. She took my hand and led me to the pods of desks in front of the green chalkboard. Again, the little desks had our names printed in neat, block letters. There were four desks per pod. “So you’ll be sitting next to Shelly, and Ben and Jimmy will be across from you.” She pointed to the nametags. She left me to arrange my things and get ready for the day. I carefully arranged my pencils while I waited for my classmates to arrive. 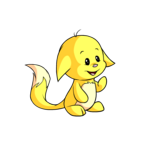 The second to come was a blue Ixi named Billy. When Billy’s dad left, he sat down beside me, even though his name wasn’t there. Shelly sat there, not Billy. I knew he was a Billy, not a Shelly because Miss Barrie had called him that. “What?” I cocked my head. I was confused. Mom had wanted me to put my shirt this way; she told me that it was not nice to look at if I didn’t. She said I didn’t look like I cared about my appearance if my shirt hung out. I told Billy this. “This is school, kid, and no one cares what you look like as long as you don’t look like you do right now. 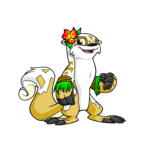 Everyone likes a Lutari, especially in Island, too; it gets you a few friends automatically. But if you don’t untuck your shirt, you’re gonna get hassled,” he told me sincerely. “Oh.” Well, I supposed I could untuck it and then tuck it back in before Mom saw. I tugged the shirt out of my waist and looked back at Billy. I certainly didn’t want to get hurt. “How do you know so much about this?” I asked, slightly awed by Billy’s knowledge of school. “I have brothers,” he said flippantly, like the whole world knew what his life was like. I decided not to ask while I turned this aspect over in my head. I stuck to Billy like a leech, well, I didn’t mean to, but it just seemed he was the only welcoming face there. Soon a circle formed around us, or rather, Billy. He stared at my hand like it had green oozing warts all over it. “You shake it, dummy,” Billy told him. His smile seemed forced. “Oh! Okay, dude, whatever you say.” Jimmy shook my hand. I couldn’t help wondering what a ‘dude’ was. I didn’t try to shake anyone’s hand after that. I made it okay after that until lunch. “I really hope Mom packed me her vegetarian sandwich. I love those,” I said excitedly to Billy. Billy looked at me strangely and said nothing. We sat down at a long picnic table and opened our lunches. I noticed that other kids had plastic boxes that had pictures and logos all over them. I seemed to be the only one with a paper bag. Billy pulled out a metal can sloshing with liquid and I stared at his sandwich, which wasn’t a sandwich at all, but rather a baguette cut in half with lettuce, tomatoes and meat in it. He also had a little plastic pack that had pictures of undersea creatures on it. When he opened it, blue, green, and pink squishy things fell out. “What is that? !” I asked him, bewildered at his strange food. “What?” he asked through a mouthful of his sandwich. “Very serious,” I told him very seriously. “No, I live in a house with a roof, thank you very much!” I told him, slightly insulted. “Oh, okay then. Of course, I should have known. Sorry.” He turned his back to me and started talking to the kid beside him. “What?” he snapped. I recoiled a bit. “What are those?” I motioned to his lunchbox. He shook it vigorously and then set it down on the lunch table. “Now watch,” he said. In a smooth, quick movement he pulled a tab up and a spray of brown frothy liquid flew up and drenched my paper bag. “What? The grape ones? No. But the others, like the blue ones are okay,” he said, popping the pink one into his mouth. “Here, try one.” He held out a blue gummy. It was strange. It felt strange to chew it, it was like someone had boiled a cucumber and then left it out overnight. But the taste was very sweet and I wasn’t sure how to judge it. I was very disappointed when I swallowed it; I liked it, I suppose. It was still a little strange. When I looked around, I hoped that everyone else had a normal lunch like mine, that I wasn’t alone in my ways. But everyone else had a lunch similar to Billy’s. Some had familiar sandwiches and water bottles, some had fruit, but mostly they all had variations of the strange lunch that Billy had. I felt very alone and quite embarrassed. It’s not like I had never seen kids before. Of course I had. It’s not like I’d really been living under a rock. When Mom took me to the park, we saw them. I never spoke to them, but I saw them in the stores, on the street, but I never had any in my own home, playing with me. Before school started, I had never played with anyone before and I didn’t know what to expect. I was, I suppose, a flower child. I was brought up on everything organic and daily visits to Illusen to be blessed as a child until the age of two. I was taught I should always be gentle with everything and to love my enemies. I found this easy because I had no enemies to try my patience with. One of the first three things I learned how to do was plant seeds. I didn’t like it because it took a long time to see results. One of my first words was, “Sunflower!”. We lived right on the end of a park, so the forest was my backyard. When I was four, Mom and I built a tree house and painted it all the colours of the rainbow. So basically I had a very sheltered, happy before-school childhood. “I’m never going back to school,” I sobbed. “And you can’t make me!” Mom had picked me up from school in a fragile state and my emotions shattered as soon as we were in the door. “Oh honey, what happened today? School is a wonderful place and I can’t possibly teach you myself.” Mom stroked my forehead. “Now, tell me from the start.” Mom looked at me sympathetically and set me down on her lap. It took me a little to collect myself. “Well, this boy, Billy. He has brothers. He told me all about being cool and not being cool. And so apparently everything I do is uncool!” I started crying again. “Well, Billy was always telling me to do this and that. Oh Mom, my lunch is all wrong!” I buried my face into a pillow. “Now why would it be wrong, dear? It’s a complete healthy lunch. Would you perhaps like some tofu next time?” She put a warm reassuring hand on my back. “Well, for starters, no one has sandwiches without meat in them, and Billy had something called a sub. People have Neocola and gummies and... why can’t I have that? Why am I different? Why I am the only one?” Tears blurring my vision, I stared at Mom waiting for a reassuring reason, completely logical, something I hadn’t thought of. Something that would erase my worries. “Garbage?” I looked up, not sure what she meant. I was ready. While the other kids would eat garbage for lunch, I would eat healthy things that made my bones strong. So in the end, while their bones shattered into a million pieces, I would still be as strong as ever. My hope was short lived. I think it started with a conversation on what we were going to do after school, but it ended with that same feeling that made me want to go hide under a rock forever, because, after all, I had been living under one. We were standing outside the school before the morning bell rang, it had rained the night before and the skies were still overcast and gray, setting the mood for my day. I shivered deep into my yellow raincoat. “Well, if it doesn’t rain again Michelle’s gonna take me down to Faerieland to get some food for my petpet. I sure hope it doesn’t rain,” my new friend Jimmy told us, looking up at the stormy sky. “Michelle? Who’s that? Your sister? You an orphan?” Another new friend, Tyler, joined our circle to catch the last of Jimmy’s sentence. I had realized that the boys who hung around Billy liked to make fun of people at the slightest opportunity. “No, who do you think? My owner, ya dummy.” Jimmy rolled his eyes. It seemed he had picked up Billy’s habit of doing that. It seemed everyone did what Billy did. Someone owned him. “Someone... owns you?” I stared at Jimmy, absolutely horrified. No wonder these boys were different. Someone owned them. Everyone stared. It was an awkward silence after that. No one said much after that. I wanted to say something, maybe tell them I was kidding, that it was all just a joke. They all kind of shuffled their feet and looked around as if they were being held up while in a hurry. I was suddenly ashamed of my yellow raincoat. I felt very self conscious at my every move. Every other kid in the circle wore a hoodie or a ballcap. I wore a raincoat and with matching hat and boots. During class I watched Billy fold a paper airplane. He looked quickly at our teacher, who was writing the letter ‘a’ on the board and turned around and deliberately shot it at my desk. It landed perfectly in front of my folded hands. I looked back at him quizzically. “Open it!” he hissed, glaring. “You said something, Billy?” asked Miss Barrie, a lock of blond hair hanging in front of her glasses. She stood, chalk poised in her raised hand, her eyes resting on Billy. “Let’s refrain from speaking out of turn, shall we?” She gave him one last look and turned back to the chalkboard. I turned my eyes back to the paper airplane. I quietly unfolded it and stared at the letters scrawled in scratchy pencil. He could read and write while the rest of the class was just learning how to print the letter ‘a’. I sighed, confused and frustrated. Billy turned back, awaiting my response. Not wanting to get into trouble, I shook my head, trying to signal I had no idea what he wrote. He rolled his eyes and turned back to the teacher. I feared he had written some mockery about my little knowledge on how to be cool. It wasn’t fair. Just because I was different. Since the start of school an ugly monster stepped into my chest and for the first time I felt absolute sadness of my difference and no hope at all. A small stone lodged itself in my throat and it took every ounce of my willpower not to cry. I hadn’t even bothered to talk to Mom about it when school ended. She noticed my silence and asked me what the matter was, but I didn’t say a word. When I got home, I went straight up stairs to my room where I could cry in peace about the unfairness of it all. Well, that was, until Mom called up the stairs. I froze, I didn’t want him here, rubbing my different-ness in my face. Mom knew how he had made my life miserable and I had no idea why she would ever let him into our house. I hated him for coming and so I stayed in my room, pretending not to have heard. I would be in a lot of trouble if I didn’t go greet my guest. I heaved myself from the bed and slowly opened the door. I took the stairs one at a time, pausing a little each time just to save me a few seconds. I dreaded when I would put my foot on the landing and look up to find Billy and Mom standing there expectantly. “Hey, Gabe! How are ya, man?” Billy smiled, greeting me. “Fine,” I mumbled. I glared daggers at Mom. “Now why don’t you boys go out to the tree house and I’ll bring you a plate of tuna and crackers,” Mom said sweetly, oblivious to how much this embarrassed me. I nodded, still looking at the floor. Even though he sounded very sincere, I was sure he was just waiting until Mom was out of earshot to start pummeling me about the way I was. I didn’t want Mom to go, but all too soon she disappeared into the kitchen. And who was Luke? I nodded. I didn’t dare say a word. I climbed up the ladder first, very self-conscious. What if I slipped? My hands were sweaty by the time I reached the top. I nodded and pulled the unused green one Mom had bought for any friends that might pop in. At the time we had built the tree house I didn’t have any friends and thought getting the second beanbag was a silly idea. But now I was glad I didn’t have to sit on the floor. “Those other boys, they talk about how weird you are behind your back and I’m sick of it. I try to stop it, but the only way to really stop it is to tell you how to stop it.” I felt betrayed, completely isolated. More different than before. Not true, I thought. Tyler put his mat beside mine! With a sinking feeling I realized my mat was one away from Billy’s and Tyler had been in the middle. Suddenly I was grateful that Billy had come. “Owe it to me?” I asked bitterly. “Thanks,” I told him, my feelings hurt. “Welcome. Now, enough chitchat. Okay. Three rules of thumb-“ he began hastily. “Three rules of what? !” As we grew older, I would always envy Billy’s infinite intelligence in everything and his way with words. I smiled. “Yeah. Thanks, man.” My flower poked its head out again and shooed away the monster. He ran away whimpering like someone had spanked him. I looked up and smiled. It seemed my flower had spread its petals to her and wrapped her in a loving embrace. It was random, and we both knew it, but maybe she knew her son was no longer just hers, but also the world’s. He wasn’t just a little boy living under a rock anymore.